Home › Archive by category "roof restoration gold coast Australia"
The roof of your house is responsible for not only protecting you from external elements but it is also responsible for holding the structure of your house. One misstep and the damage can be beyond control. In Australia, there are different types of roofs. Some of the common ones can be recognized as follows. Keep reading to know more. also, learn how to maintain and restore each of the roofs. The concrete tile roof is the most commonly found roofing style, though requires a lot of care to maintain its well-being. Repairing or maintaining this kind of roof is easy, but also very challenging, due to the risk of breaking down easily. The concrete tile roofing is a very durable one, but without time to time maintenance, and inspection, even this one can face a lot of breakage and distortion. 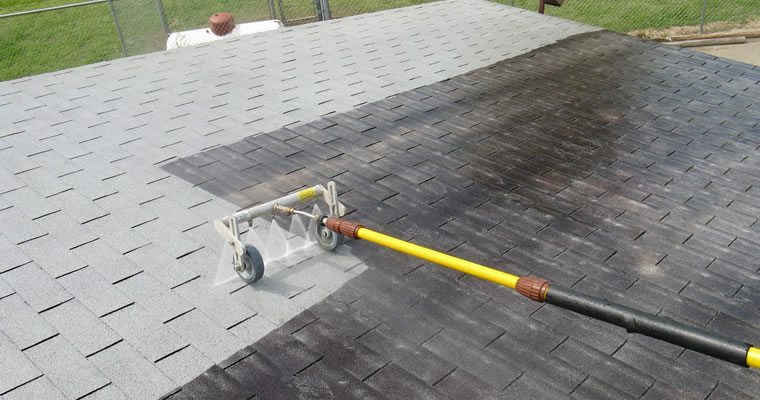 The adverse weather conditions like storms and rainfall can be really dangerous for any roof, and the tiles get eroded slowly when they come across more such disasters. When it comes to the health of roofs, people worry too damn much about how monsoons are the worst. Like summer and winter are any good! Some people stall fixing those very visible cracks and chips on their roof shingles, assessing they are saving money. While it might look like they really are saving, the fact is just the contrary. If anything, they are just paving a wide way to a big future expense. ‘Prevention is better than cure’ heard that, didn’t you? Just like anything, after a period, the roofs wear off. And it needs roof doctors. Delaying to dial the professionals only makes the condition of the roofs worse. Small cracks let the water through in, which subsequently allows crack to grow wide and let moulds and rots form on the ceiling. This altogether weakens the whole roof, eventually arising the need to fully replace the roof. And this is a much costly task- time consuming and needless to add, very stressful. So instead of the cure of this problem, why not prevent it from transcending itself into something permanent at an early stage? A good roofing contractor offers a wide range of services under a single roof (pun intended); from restoration, ridge capping and maintenance to pressure cleaning, roof painting and tiles repair. Banking on these services, before the damage in your roof passes the threshold level, can save you money significantly. These professionals use state of art chipped tile repair kit Australia that ensures to fix the problems from the core and give the roofs a new, longer durability. It costs much less and saves you from spending unnecessarily, in future, on permanent problems. Roof painting, comes with its own fits that subsequently help people save heaps. First, it enhances the sustainability of shingles that saves you from future costs. Also, with evidence available, white paint coating on the roof helps conserve energy consumption and hence reduces the electricity bill. White paint coating on roofs reflects away the 90 per cent of sunlight, as oppose to 30-40 per cent of regular paint. This helps the building stay cool even on long summer days, which consequently reduces the energy consumption by 10-40 per cent. Result- electricity bill is reduced considerably. Besides, energy consumption indirectly reduces pollution, which makes it a nice practice for everyone to keep up with the global ‘Go Green’ revolution. So have you been stalling the maintenance work of your roof, thinking you’re saving from ‘unnecessary expense’- you’re way off! Hire good roofing contractors Adelaide based and SAVE (really! ).